Depending upon the time of year trips depart from an arranged location (your guide will call you on) around 9am and end around 5pm. Of course we can accommodate guest schedules as well. 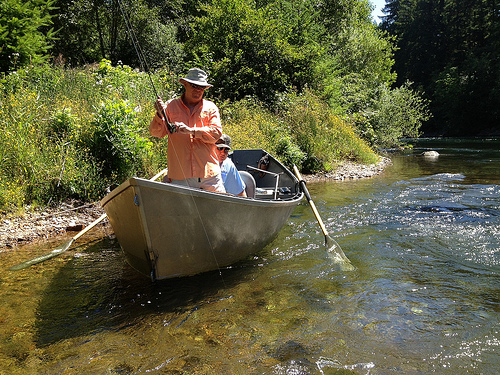 A typical day has anglers using a variety of tactics that include indicator style nymphing, dry fly fishing, hopper dropper rigs and even swinging traditional wet flies. Our guides focus on instruction in order to maximize your day�s success and give you techniques to take with you on your next trip. 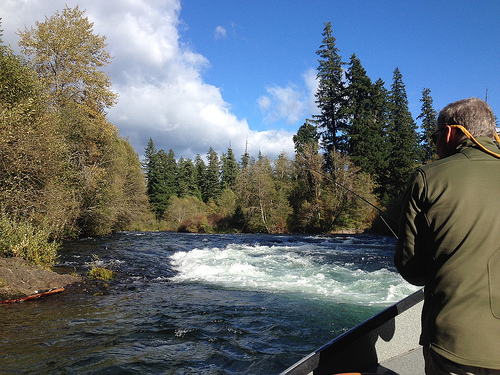 We use four and five weight rods most of the time and trout range from 8-20 inches in length. 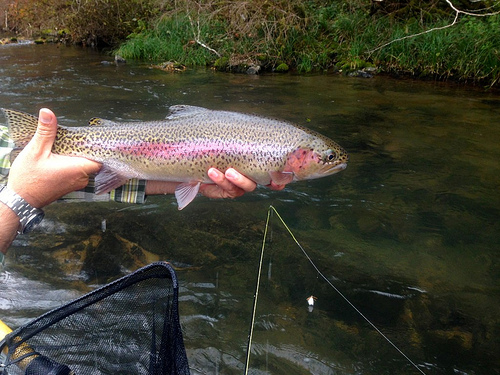 Rainbow and cutthroat trout are available almost year round. Full day McKenzie trips start around April and end late October. 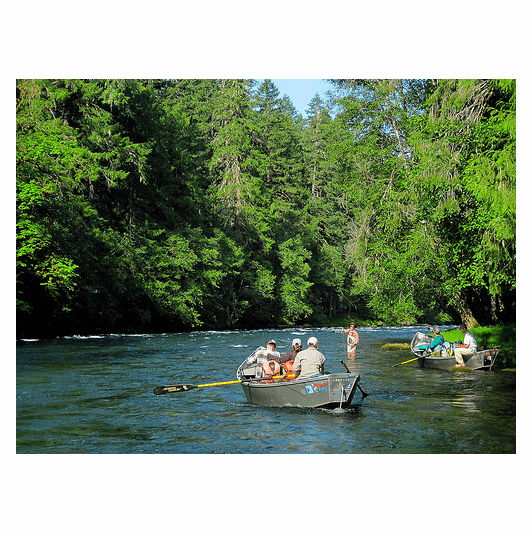 We have about 70 miles of river to work with and depending upon guests desired experience we can accommodate all types. Of course if you want to leave it to us to simply put you in the best spot then we are happy to do that as well. Mid Summer Special Trips are available in July and August. Hot weather means we start a little earlier and end a little earlier. We fish hard from around 8-12, have a light quick lunch fish for another hour and head for the barn. Total time on the water is 5-6 hours. 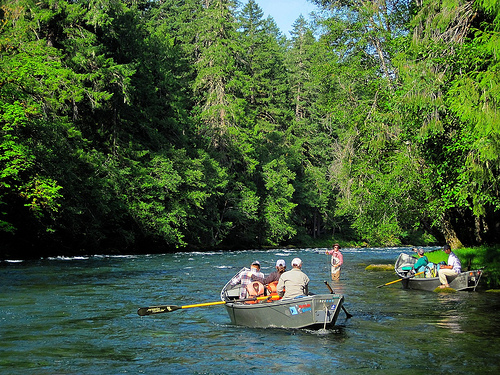 The McKenzie River is diverse. The top of the drainage is steep and has some of the best pocket water fishing around. The middle McKenzie has a little bit of everything: whitewater mixed in with banks, flats, riffles and long runs that our guides put you into the perfect boat position to capitalize on.